Seer – A magical Hero and his loyal army defend the homeland against the endless undead hordes! Can you lead your army to victory? Can you rally your weary troops to defend your nations villages, people and holy shrines? Will your magical power tip the balance and win the day? Seer features 9 unit types, each with special abilities like Archers, Cavalry, Pikemen, and of course your spell casting Hero, the Seer. 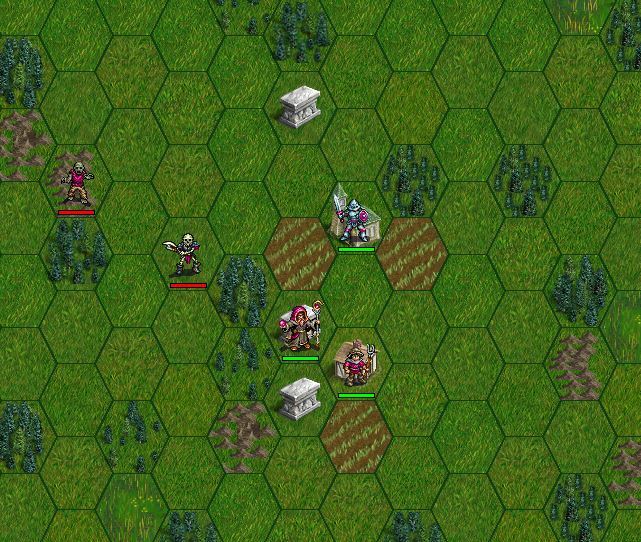 Hordes of undead are attacking your homeland, and you will need tactical skill, resource management and careful use of your magical abilities to hold them back.